Xenosaga is one of Yasunori Mitsuda’s best works. Mr. Mitsuda is known for his high quality of composition and memorable melodies as well as a mix of Eastern and Western music. One of the most interesting pieces from the Xenosaga soundtrack is “Last Battle”, which is an excellent example of minimalism. Minimalism is characterized by severe limitations in the number of instruments, silence, concept music, continuities, and phase shifting, the last of which “Last Battle” is characterized by. Phase shifting is taking two identical sound samples and playing them back at slightly different speeds to create a gradual shift in the music. Steven Reich was one of the first composers to use the form. Above is Piano Phase, played by James Wiman and Brandon Kelly. “Last Battle” begins with a kind of phase shifting, beginning with two short complementary melodies, one on piano, the other on violin, which has a little tail emulating a fade-shift that is played out further at 0:22. Of course, this phase shifting is not extended throughout the piece, as it is difficult to maintain interest in a largely conceptual work. Also uncharacteristic of pure minimalism, “Last Battle” gradually layers new instruments throughout the first movement such as organ, bells, choir, and drums. As such, Mr. Mitsuda takes elements of the form that are interesting and applies his own style. Read the rest of this entry ? 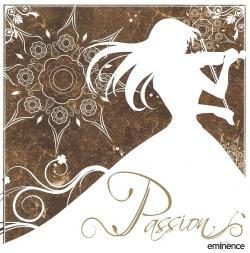 Passion (2007) is a wonderful album from Eminence Orchestra featuring the work of Yasunori Mitsuda, Hitoshi Sakamoto, and Yuki Kajiura. The soundtrack is a recording of a concert held in a select number of cities such as Singapore, Baltimore, and Sydney, so is fairly difficult to find. It contains music from games, anime, and standalone albums, all using a six-piece orchestra conducted by violinist Hiroaki Yura (Grim Grimoire). This piece, “Sakura” is from Xenosaga II: Jenseits von Gut und Bose (2005). It is one of my favorite tracks. This piano and violin piece has a fleeting beauty – though intensely emotional, after only a short time, it is gone. This makes it an excellent selection for an album of this name, but also gains greater meaning when given its context. “Sakura” is the theme of Sakura Mizrahi, a girl who contracted a disease which left her unable to “respond to external stimuli” – yet learned the piano. Her theme song is thus very fitting for reflecting her musical skills as well as a fleeting beauty and innocence that is soon lost, like a falling cherry blossom. The in-game theme has four versions, and this YouTube video contains three of them. The first is a piano arrange, while the second contains Italian lyrics (no translation). Version #4 was the version arranged for Passion. Read the rest of this entry ? This is one of my favorite mixes from Xenogears (1998). Yasunori Mitsuda’s original piece has a great sense of hope and happiness, and Jared Hudson’s version is an inspiring rendition. The piece starts out with a kabuki-esque theme which moves into a dynamic, driving drum beat. Heavy brass and strings capture the sense of flight and the determined spirit to move forward. The climax is a choral piece that might sound a bit much, but I feel is easy to drive listeners to temporarily ascend to the heavens and hope. I love this piece because it is so full of hope and reassuring happiness – everything is going to be alright. Anyway, the original track is called “Flight” and Chu Chu is this pink rabbit thing that says ‘chu’ a lot, which is how it got its name. “Flight” is only played in a few places in the game, usually after a victory or when friends have been reunited. As such, the track’s hope gains added impact – sparing use of a good tune can make it more impressive. This piece was originally on OCReMix. For all the lovers out there – whether it’s for a special someone or just music itself! – here is the fantastic love song “Kokoro” by Yasunori Mitsuda from Kokoro, the single album of the main themes from Xenosaga. I admit I don’t find the lyrics as poetic as some of the music from Creid, so this is the instrumental version (though Joanne Hoagg has such a wonderful voice!). Maybe you can sing along! The song means “heart”, “the heart of things”, or “feeling” – and I think this last settles perfectly with this song, which is all about this sense of love and longing. I can’t help but think maybe it is reminiscent of Natsume Soseki’s classic of Japanese literature, Kokoro. “Kokoro” is a beautiful progressive guitar piece and is the ending theme for Xenosaga. The low whistle played by Davy Spillane is full of the kind of longing that whispers through willow leaves on a summer night. The guitar is pure bliss, warm and calming. At 3:26, the theme progresses to its second half where the mournful cry of desire from Spillane’s uillean pipe grips the heart with both memory and desire. The instrumental build in the background like floating cherry blossoms is Yasunori Mitsuda on the keyboard. Now at last we can talk in another way. Though I try “I love you,” is so hard to say. If only I could be strong and say the words I feel. 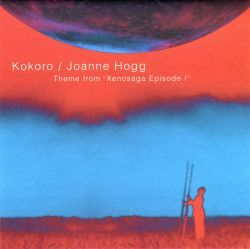 Kokoro was composed by part of Millenial Faire, who did the Creid album with Yasuharu Nakanishi on guitar, Davy Spillane on low whistle and uillean pipes, Yasunori Mitsuda on keyboards, KALTA on drums, and Watanabe on bass – and of course Joanne Hoagge from Xenogears singing the lyrics. Oh yes, the other cool thing is that this album is only $6 on Game Music‘s clearance sale – beats the heck out of the $18 it used to cost (only four songs!). Any Mitsuda fan is doing himself an injustice in passing up this opportunity. In many ways, Xenogears is one of the heights of Yasunori Mitsuda’s career as a composer. Xenogears Original Sound Version (1998) was his first full-length soundtrack that used the capacities of modern videogame hardware (read: the optical disc) to produce music that was not bound by the limitations of cartridge-based storage (ok, he worked on Tobal No. 1 prior to this, but was not the sole composer). It also stands as his first major collaboration with international composers, combining Celtic and Japanese music to generate his unique style using the exceptional talent of Joanne Hogg. While reviews of Xenogears seem mixed, nearly everyone agrees that the soundtrack was of the very high quality we have come to expect from Mitsuda. The song is an outtake for an introductory cutscene that was never used in the game. The lyrics, penned by Masato Kato, the game’s scriptwriter, are quite beautiful, though seem to lose a bit of sense through the English translation (Creid uses the Japanese lyrics). The Wikipedia article on the album contains more information about its composition compiled from many different interviews. Unfortunately, the album is out of print, despite being re-released in 2005 (maybe Square-Enix will reprint it on iTunes?). The themes of the game’s narrative include loss of memory and preserving the world’s culture amidst a global war. Read the rest of this entry ? Merry Christmas, everyone! And what better way to celebrate the holidays than some celebration music? This is one of my favorite tracks from my favorite vgm album, Creid (1998), a remix album of music from Xenogears (1998). “Lahan” is a nice, Celtic fiddle mix that feels like it was taken directly out of an inn somewhere in Ireland. The fiddle and tin whistle are so bright and pure and full of joy, while the bag pipes are have an incredibly pleasant, mellow sound to fill out the mid range. In the end, the accordion and singers kick in to bring the melody to a fine close: it seems like the entire band got together to perform this entire piece. You can almost feel as if you are in the tavern with your best friends, having the best time ever – it is the place I would most like to be. The whole album seems to me a celebration of peace and harmony, especially through a combination of instruments that in any other situation might create a cacophony – in the hands of Yasunori Mitsuda, it is perfect, glorious melody. 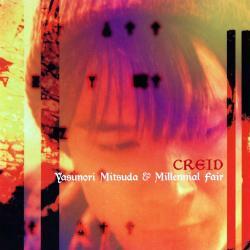 Creid was based on music composed by Yasunori Mitsuda and arranged by Mitsuda as well as Tetsuko Honma, KALTA, and Eimear Quinn. The album is performed by the band Millennial Fair, a mix of Japanese and Irish musicians, including Marie Breatnach on the fiddle (Final Fantasy IV: Celtic Moon) and uillean piper Davy Spillane (Riverdance). This was a very unique setup that combines Japanese and Celtic influences to create something very original. The timing for the album was perfect, as shortly after its release there was a big boom of Celtic music in Japan. The band’s name is a reference to the Millennial Fair from Chrono Trigger, and event that celebrates the coming of peace in the Middle Ages of the game world, 1000 years ago. In case you’re curious, Wikipedia has an excellent overview of the album and its composition. Creid was reprinted in 2005, and so is still pretty easy to pick up on places like CD Japan and Play Asia. It is well worth the effort and price of admission. Read the rest of this entry ?